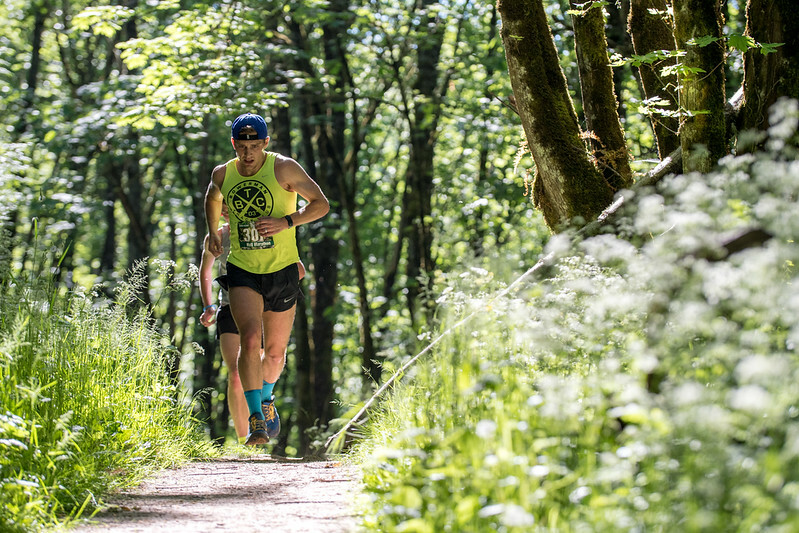 The Trail Factor Half Marathon by Go Beyond is a challenging, beautiful trail half marathon in Portland's own Forest Park. 25% of the proceeds from sales of these photos will benefit the Forest Park Conservancy. You may download watermarked photos for free by right-clicking on the photo.